UPDATE! The winner of the free download is Fedora! Hey there, lovely readers! Since I didn’t have a guest today, I thought I’d do something fun. A new book blitz! Any writers out there have new stories they want readers to know about? Email me your cover (300 pixel height), your blurb, and your sales links (embedded, please! ), and I’ll post them as they come! Email to delilah@delilahdevlin.com! Comment for a chance to win a free copy of one of my Adventure Girls, Inc. books! And keep dropping by to check out the new titles! Enter more than once! This contest will close Sunday night. Jason Haverty is looking forward to the fall horse drive, until his boss and uncle informs him one of the new cowboys coming in to help will be riding his favorite horse. 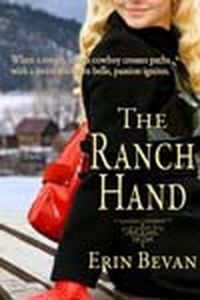 His annoyance is furthered when the cowboy turns out to be a cowgirl—a quick-witted and confident blonde beauty. Trying to avoid her doesn’t work. The more time he spends with her, the more an unexpected protectiveness toward her grows. 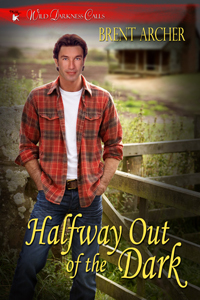 Bobby Jo’s Texas upbringing taught her to give just as good as she gets, a quality Jason finds frustrating and all the more endearing in this Southern Belle. When an accident on the trail places her in possible danger, Jason realizes she means more to him than he thought. The question is, does she feel the same? Lightning doesn’t strike the same place twice. In theory. But in one small town, in one family, that theory is put to the test. Growing up in a rural town in Massachusetts was supposed to be safe, but for SILVIE CHILDS, that safety was shattered by a kidnapping attempt that forever changed her life. Now, nearly twenty years later, that sense of safety is challenged again by the kidnapping attempt on her young niece, and Silvie is left struggling with one question: How can something like this happen twice in one family? 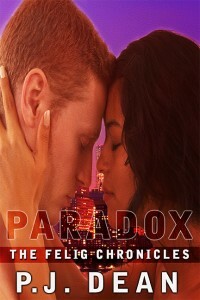 It is a dilemma shared by NICK FAHEY, the detective assigned to the case. Arriving on the scene of the abduction attempt, Nick expects to run a routine investigation. Until he meets the victim, the niece of a woman he once considered a dear friend. Unfortunately, these days Silvie Childs can barely stand the sight of him. Once there was a time when Silvie Childs worshipped Nick Fahey, believing he could do no wrong. Until the accident that nearly killed her brother; the accident that Nick reportedly caused. Coming on the heels of her own near abduction, the accident skewed Silvie’s ability to trust men – especially Nick. 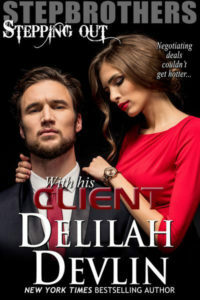 But now, with the attempt on her niece’s safety, Silvie finds herself in the untenable position of having to trust Nick to bring the kidnapper to justice. That trust is severely tested when, after only two months, the case is closed for lack of new evidence. Feeling betrayed by the system in which she works as a paralegal and by Nick, Silvie takes matters into her own hands. Contacting local news stations to generate interest in the case, allowing herself to be filmed hanging sketches of the suspect on telephone poles, she will risk her own safety to protect that of her niece. When her efforts re-open the wounds of her past, she is once again forced to put her trust in the one man who still has the power to hurt her – Nick. 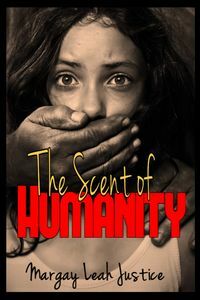 The Scent of Humanity – Kindle edition by Margay Leah Justice, Donna Collier. Romance Kindle eBooks @ Amazon.com. SOMETIMES THE ENEMY OF YOUR ENEMY IS YOUR BEST FRIEND. ESPECIALLY WHEN THEY ARE YOUR LAST RESORT. TAKEN! TINA HAS BEEN TAKEN BY FELIG FROM THE HOME SHE AND NATE SHARED AND THEY HAD BELIEVED FELIG-PROOF. JUST WHEN THE COUPLE HAD SMOOTHED OUT AND POLISHED THE JAGGED EDGES OF THEIR RELATIONSHIP. JUST WHEN EVERYTHING HAD FIT TOGETHER SO PERFECTLY. NATE IS ON A MISSION NOW TO GET HER BACK, AND IS LEARNING NOWHERE IS SAFE AND NO ONE, UNTOUCHABLE. AND MOST IMPORTANTLY THAT ALLIES CAN BE FOUND IN THE MOST UNEXPECTED OF PLACES. Never fall in love with a man in a photo. Especially, if he’s dead . . . 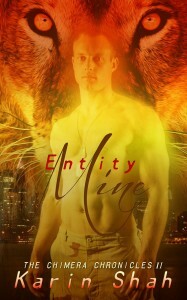 Balanced on the knife-edge edge of going feral, chimera Ethan Wade has no idea what he is. 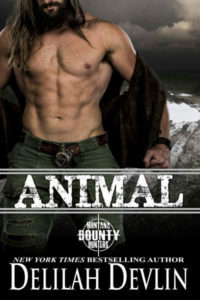 All the former Navy SEAL turned maritime treasure hunter knows is his explosive temper has destroyed his life, driving him to an isolated rental house in Western, NY, to lick his wounds. When a molotov cocktail of rage and alcohol triggers an uncontrolled shift, he is caught between shapes. Disembodied, he can only come to one conclusion: He’s died and become a ghost. Blowing the whistle lost lawyer Devon Daughtry her boyfriend, (not too much of a loss), her job, (a bit worse) and with the rents in Manhattan, a primo apartment (the straw that broke the camel’s back). Now she’s run home to Cassadaga determined to re-build her life by hanging out her shingle as a psychic medium. When she discovers a photograph of Ethan while moving in, she’s crushed to discover the man whose lonely eyes strike a chord deep within her soul is missing and presumed dead. Soon, she begins having passionate dreams about him. Dreams that Ethan shares. But Ethan isn’t the only being in the house. A demonic presence has followed her home and it has diabolical plans for both of them. The only thing Logan despises more than a weak man is one who preys on others. He finds himself in a battle between a group of people he never dreamed existed, and those who want them dead. Clara has always known she carried the spirit of a lioness within her. An impulsive quest finds her at the mercy of a man she’s spent her entire life hearing of. She wants to claim her place as part of his pride, but to do so means turning her back on the one who reared her. One look at Clara has Logan chomping at the bit to protect her. Every moment spent together assures him she feels the same. She’s the one with a beast inside, but he’s the one feeling territorial. Every glance has his chest swelling with primal need. Every touch sends one word echoing through his mind. Soon he’ll show her exactly what it means to belong. Humanity decimated itself in a global war with over six billion dead. The survivors mostly gather into gleaming megacities. Mark Jennings chooses to stay away from the jungle of metal and glass, and instead lives a life of farming in a rustic cabin outside the ruins of Billings. One dark, snowy, December night, Shawn Templeton, lost and freezing, stumbles into Mark’s life. The two men have a passionate few days, but Shawn decides to continue on his journey. He pleads with Mark to look him up in New Bismarck when he comes to trade his crops. At the end of the following summer, Mark takes his produce to the megacity. He decides to look Shawn up, but when he goes to visit, Shawn’s young roommate, wrapped only in a towel, answers the door. Heartbroken, Mark returns to his cabin, but winter has a surprise for him as he trudges home through the snow with his Christmas tree.